Well what a Full Moon experience that was this past weekend – energies high and pushing us all out of our comfort zones and into all that is new, exciting and expansive. This window is now over as I settle to write about my experiences whilst also taking the MoonFlower Full Moon Essence over this period of time. Essence number 5 in the series of 8 Moon Combinations – each honouring an aspect of the moon and therefore the inward and outward phases of our lives. 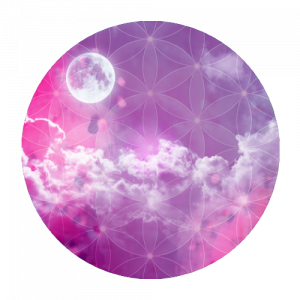 As a woman innately in touch with her own cycles and as Practitioner working with pure energetic change within the self, I have often witnessed the effect of the Full Moon on my own energies and others. I often hear of children who become more sensitive at this time – finding it harder to fit in at school and to feel settled and able to switch off when at home. It is also known (yet not widely discussed) that public services (such as hospitals) have more staff in Casualty Departments at Full Moon – the energies at this time make us all very sensitive and therefore more able to lose balance. Both choices are entirely appropriate – what is most important is that we do what we do with full self awareness and self love. The Full Moon Essence was created to support this energy of shining our light fully and without shame and to believe that ALL is possible and to help us those days when we choose to walk out and be all that we can be. My own experience at Full Moon was one of opposites and the reason I named this article CIRCLES WITHIN CIRCLES. i began my menstrual cycle at the very time the moon became full – and so found myself in Full Moon mindset yet with my physical body resetting to zero (a New Moon energy). Feeling more sensitive, I dropped my dosage of essences right back to minimal and let go into the zone of bleeding time, entering the bliss fields of this time of being female and fully embracing the connection and fluidity – being outside with and in nature, making moonlight essences and resting and listening to calming, soothing sounds. Although my physical body hurt, there was a serenity within and a confirmation (again) that finding that space inside of connection and peace is KEY to our well-being on all levels. If you’d like to learn to set intentions in this way and continually renew yourself and your intentions in harmony with nature, please get in touch by leaving a comment below.